I have a sugesstion for you regarding the Political Parties issue. I think it would benefit everybody (everybody playing an honest game) if the membership of the political party is something like the membership to a Military Unit. Edited by Senshi San, 25 January 2015 - 03:58 PM. Some changes are mandatory for this module. I think a major GOOD change here will definately improve the game. a better rule , u cannot change ur party twice in a month! Oh, you will see many D1 fighters doing over kill with hundred of EB wasted to get level 30 faster than ever I won't be surprised if that will happen. Many EB bought with gold from the *main* accounts. o7...I totally agree with your idea. This should be implemented as soon as possible. Anything about the suggestions in this topic? no? That's fascism! Where is the freedom? 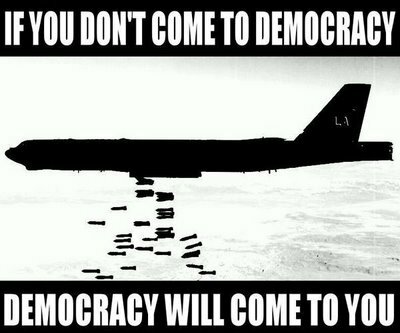 Do you want democracy?
" 3. you need PP approval to join the new party"
Any idea's on what form of approval to use for this? I considered suggesting having the PP have control over membership, like an MU Commander does and RL political parties do, however I realised this wouldn't actually prevent a PTO. The potential PTOer could get to be PP and kick out the original members in favour of his own friends/multies (although only allowing D2 players to join parties might remove the multi-making machines). The 5 days "cooling-off" period could be beefed up with a freezing of party membership 5 days before the PP election. Of course the well-organised PTOers could find a way around this eventually, and the ATOers would have to adapt, but it would reinforce stopping party-hopping on PP election day just to rig an election. Edited by Neil Lewis, 18 September 2015 - 02:55 PM. 1. There are still a lot of people who is holding their exp, so, no fighting or doing it with the new packs, they really play, but in a different way. 2. Seems fair, I like it. 3. Not that you need their approval, but him being able to remove you from it. 4. Why paying for something that does not give you money? I could understand paying for congress, as you receive 5 golds back (if you are in a democracy, something rare these days also) but paying here would make a lot of good politicians not being PP just because it's too expensive for them. singe when has anyone who has been/wanted to be a PP ever run for PP-elections for profit? Maybe you, I don't have money, so that's elitism, only the richest can hold the power. Change three into "PP can set the political party free to join or by invite". So you consider someone who has 6 gold on his/her account to be rich & elite?? ?